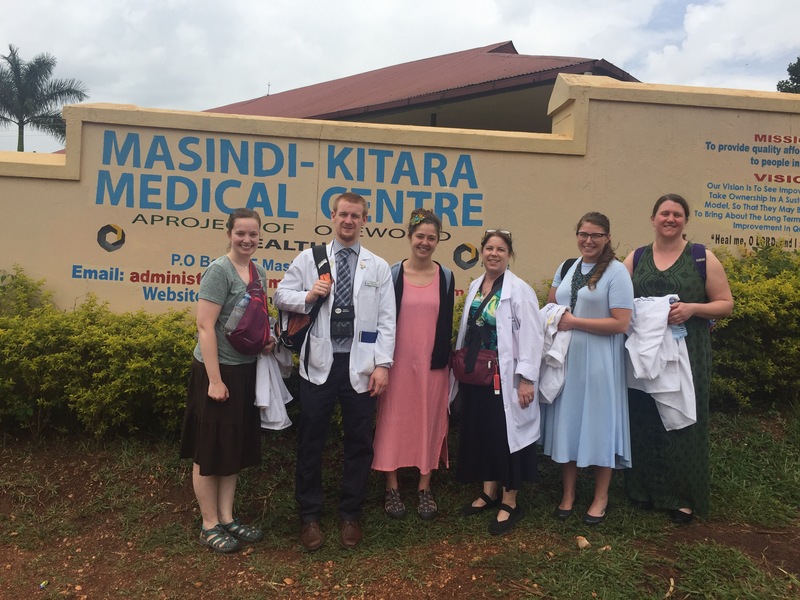 It was so wonderful to see old friends at the Masindi-Kitara Medical Center (MKMC) this morning and introduce them to my team, as I’ve been working with them since 2012. MKMC is a private, not for profit outpatient clinic and hospital. They opened their doors to the clinic sometime in late 2010 or early 2011. 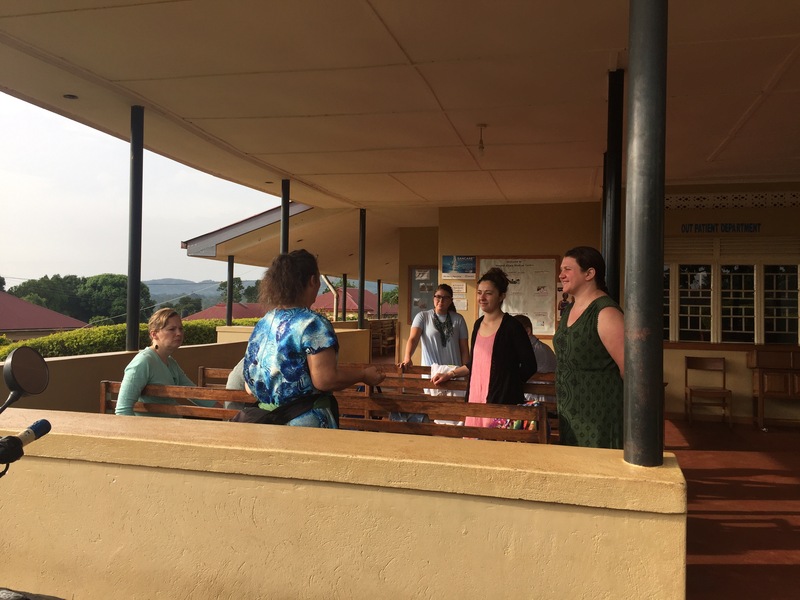 It was started by OneWorld Health, a non-profit which has been leading medical mission trips in the Masindi area and beyond for many years, when they decided they wanted to have a more permanent and sustainable presence of healthcare in the area. 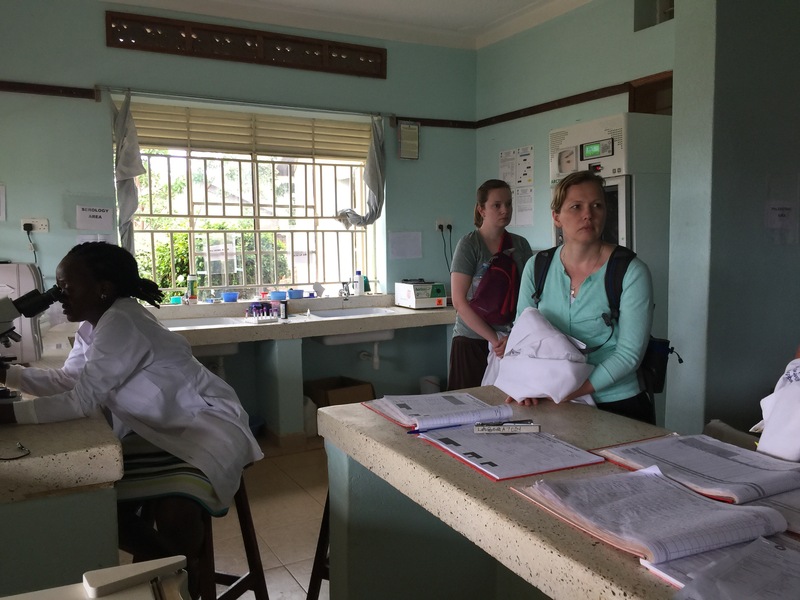 The medical care has always been 100% provided by Ugandans with American partners primarily for the business end. 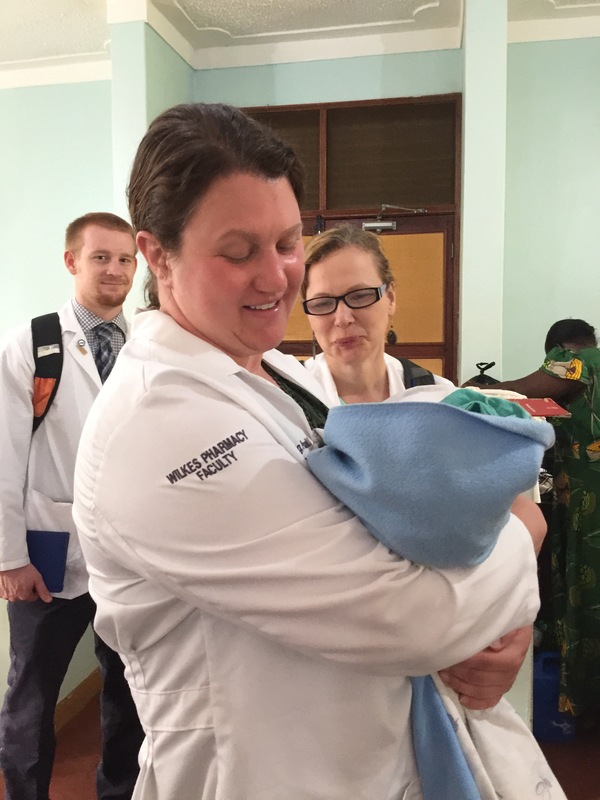 Their mission is to “provide quality affordable health care to people in need”. It is not a free clinic but provides medical care at very reasonable costs for a large number of the people in the area. Over the years, it has become self-sustaining for operational expenses from the fees that are charged. 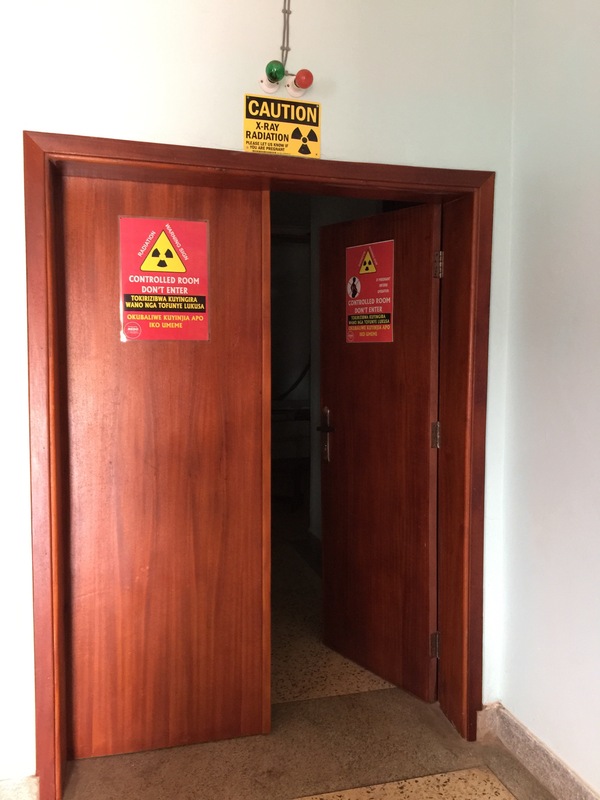 The day to day business end is primarily managed by Ugandans now with an American Director placed in Kampala to manage their USAID grant and oversee larger projects. 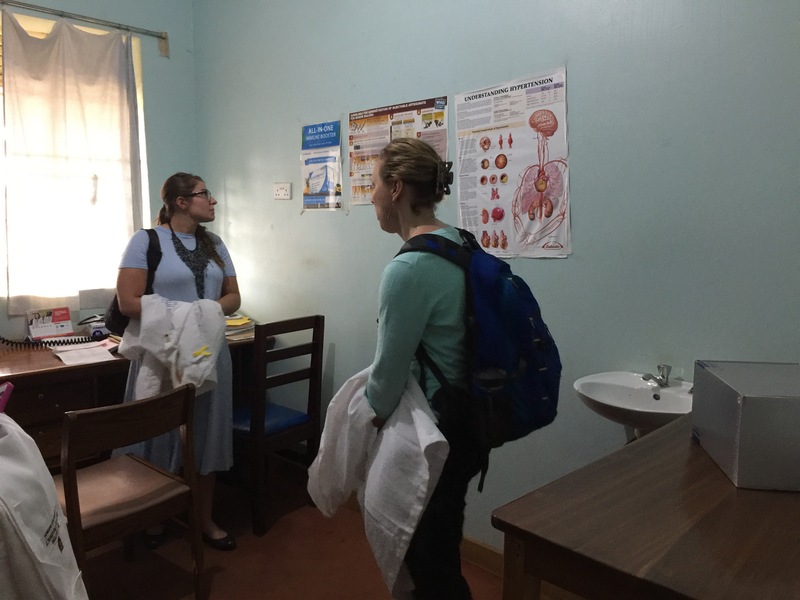 Today we attended ward rounds with Dr. Godson and the students had the chance to see many patients with Malaria. Believe it or not, we hadn’t seen much of this during our patient interactions thus far in Uganda but it is rainy season in Masindi and Malaria is very prevalent at this time of year. This evening, we all gathered to discuss the disease, led by Dr. Susie Crowe, from ETSU. Since she has 4 years of experience working in Eldoret, Kenya and has seen too numerous to count cases of Malaria, she was the perfect one to lead the discussion. 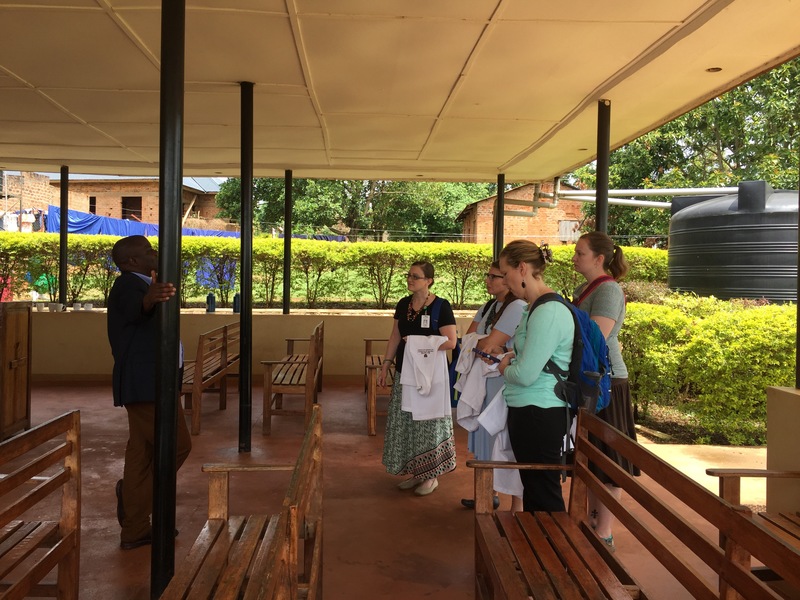 We also spent time today with Janine, the Health Educator Missionary for the Masindi Diocese of the Church of Uganda. 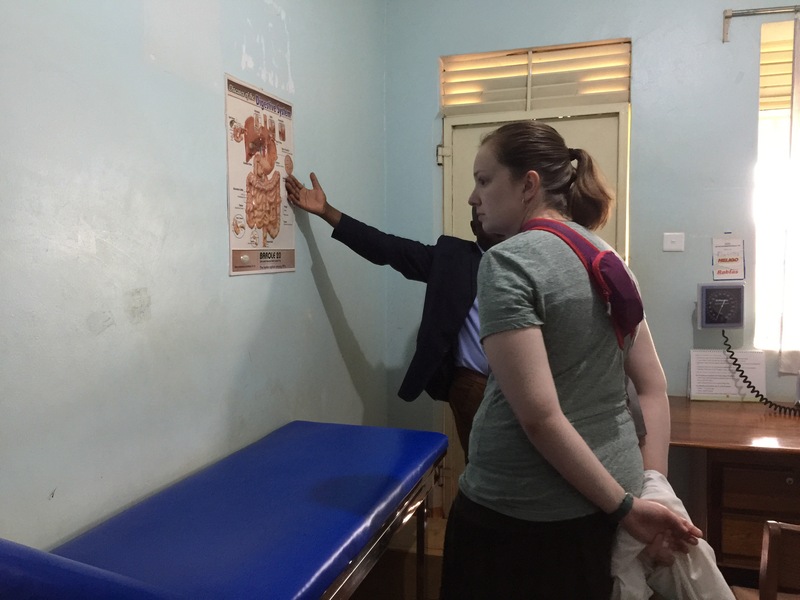 She was really helpful in orienting the team to MKMC and common illnesses and issues and also was instrumental in helping us all learn more about Malaria during our discussion. She has had it many times and since she lives here permanently, she doesn’t use daily prophylaxis. 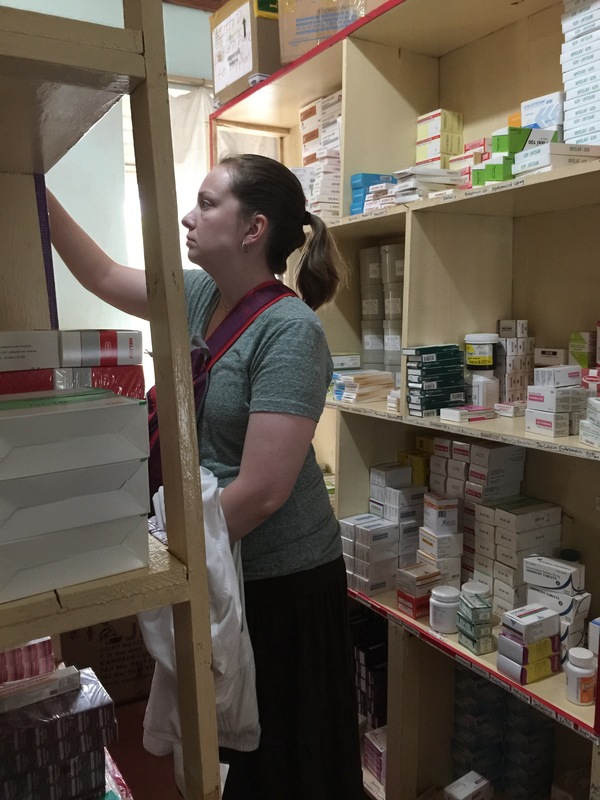 For us Americans, Malaria is a frightening disease for good reason as it kills about 430,000 people a year but for most Ugandans, it is simply a common illness for which they may actually only seek care from a pharmacy or drug shop where they just ask for the medicine to treat malaria – no prescription needed. 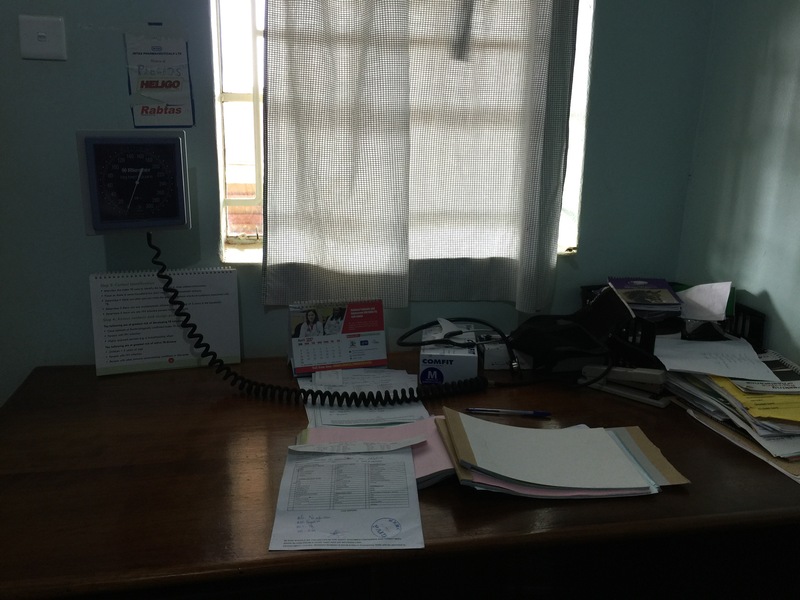 It is only the inicidences of severe malaria that bring patients to the hospital. We are all looking forward to tomorrow and working more with Dr Godson. He is an amazing physician and teacher. It is so cute to watch him with the babies- he seems to have the perfect demeanor with them and they seem to love him. MKMC continues to evolve every time I visit here. 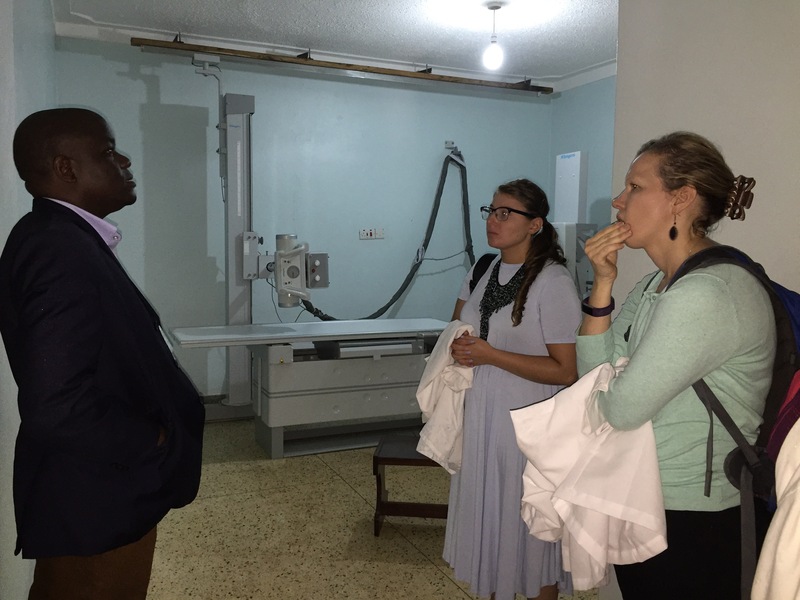 They now have a radiology clinic with an X-RAY machine and a new ultrasound. They do about 300 ultrasounds per month and about 70 X-RAYS. In terms of the volumes of patients, last month they hit their highest ever and saw more than 1700 patients! 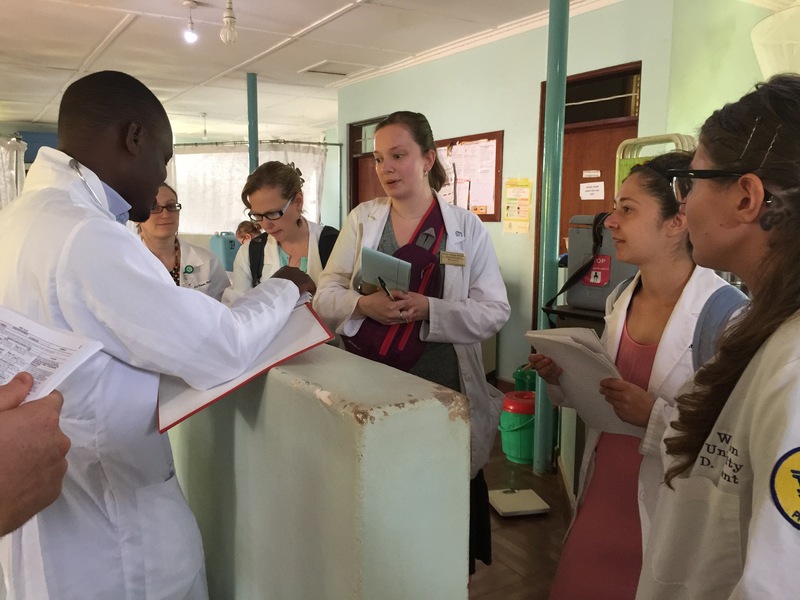 This entry was posted in Diseases/Health and tagged Binghamton University, Global Health, Masindi, Pharmacy Students, Uganda, Wilkes University. Bookmark the permalink.